Fixed shower screen 10mm tempered glass and stainless steel profiles. Venetian garden gate type white lacquered steel. 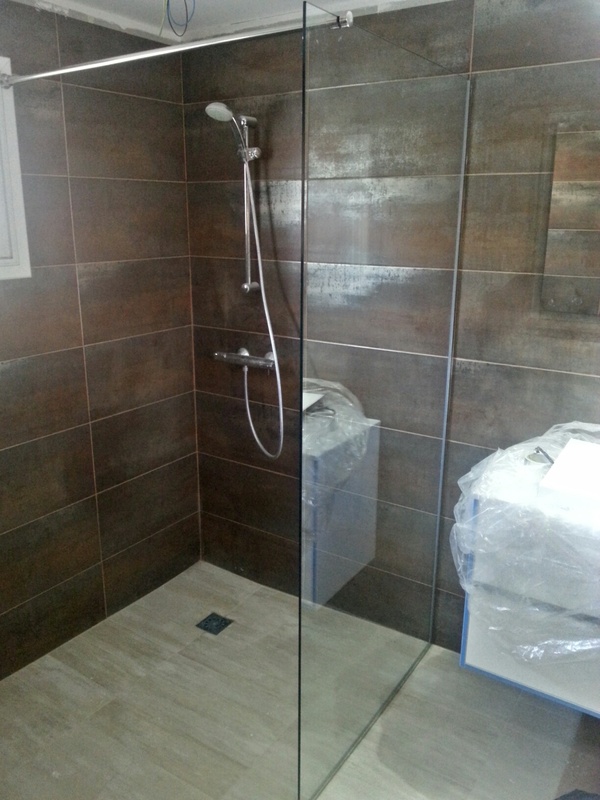 Shower screen composed of tempered glass 10mm thick, perfileria U and steel support arm inoxidable. 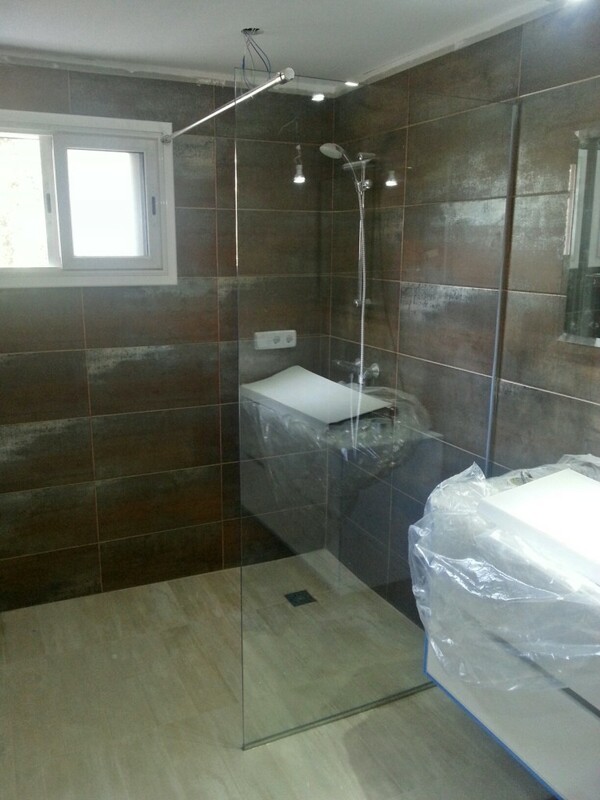 Shower screen installed in a house in Sant Cugat del Valles which is being renovated by A Barcelona Reformas, installation time of 30 minutes was tempered glass for two workers. The provide all the necessary security for installation in shower doors since it minimizes the risk of damage to almost zero in case of breakage. There are a number of models of shower enclosures for each gap or form, offering solutions to situations where you have to save some obstacle such as a radiator, furniture, etc.. Consult the type of partition you want to make a budget and moving us to their home without any commitment, contact us any question, we will respond shortly.